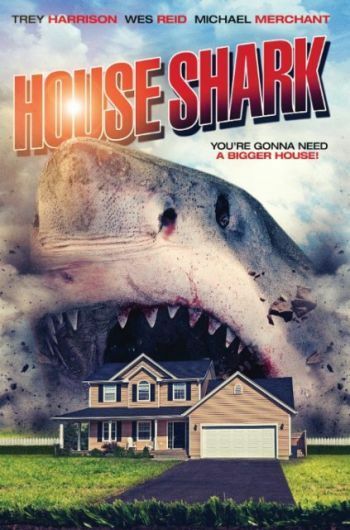 Here’s a long, detailed review *SPOILERS* on the film HOUSE SHARK (SRS CINEMA LLC) by Bryan Kristopowitz for 411MANIA.COM. Directed by Ron Bonk. Bryan goes into detail about the film as well as some extra comments on the roles played by Trey Harrison, Michael Merchant, Wes Reid (Jonathan Straiton), Wayne W. Johnson (that’s me 🙂 ), Brett Janeski, Edward Mastin, Melissa LaMartina, and Samantha Varga. Thanks Bryan! This entry was posted in REVIEWS and tagged 411Mania.com, Brett Janeski, Bryan Kristopowitz, cny, comedy, Edward Mastin, horror, House Shark, Jaws, jonathan straiton, Melissa LaMartina, Michael Merchant, NY, Reviews, RON BONK, Samantha Varga, shark movies, sharknado, sharks, SRS Cinema LLC, Syracuse, Trey Harrison, wayne w johnson, Wes Reid, WWJ. Bookmark the permalink.